Kindergarten at Centre Square Academy is unique. 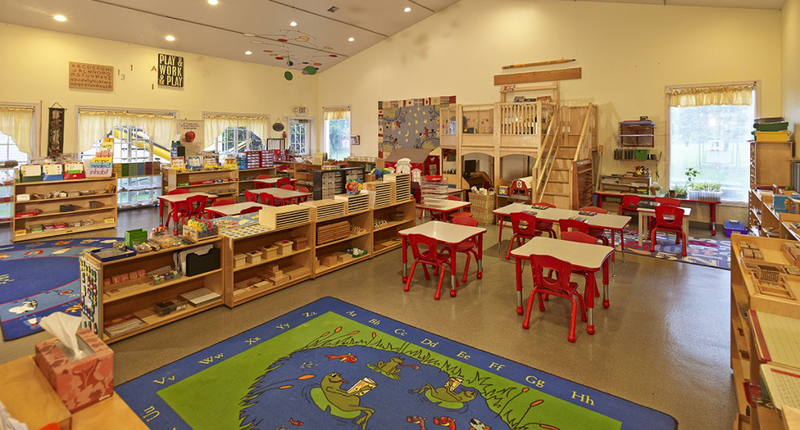 Many Montessori schools group the 3, 4 and 5 year olds together. As a veteran Montessori educator, Patricia McNicholas, the owner/director felt the need to have the Kindergarten children separate so they could soar academically and socially. 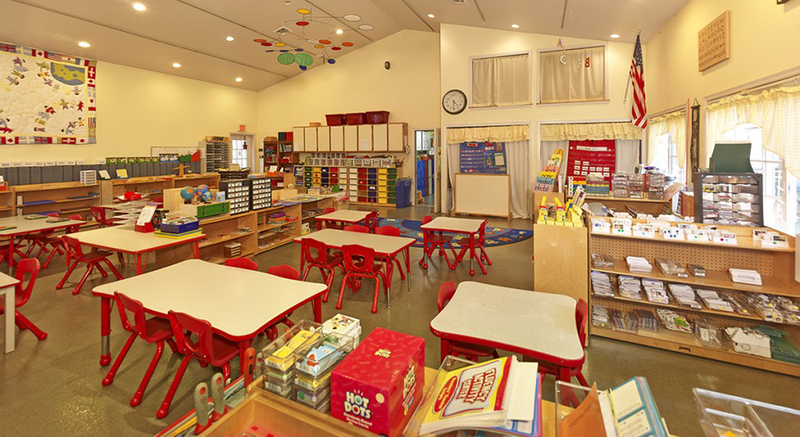 We therefore have our Kindergarten children in a wonderful large room with three experienced teachers. The focus is on reading and math but includes writing, science, cultural awareness, computers, sensorial and practical life. Starting with teens, the decimal system, 100 boards the program introduces addition, subtraction, multiplication and division, first with concrete materials then abstractly. Montessori bead chains are used for skip counting. A workbook series supplements the Montessori curriculum. The Montessori language program is based on a systematic phonetic approach. Whole language activities are also integrated into the program. Most of our children are reading at least phonetically in Kindergarten and many are advanced beyond the Kindergarten level. Each child is an individual and is able to move at his or her own pace. Our expectations are high and our children are motivated. Kindergarten is the time when many of the earlier lessons come together and become a permanent part of a young child’s understanding. Five year olds have a real sense of running their classroom community. Montessori children learn how to learn – and they learn to love learning! 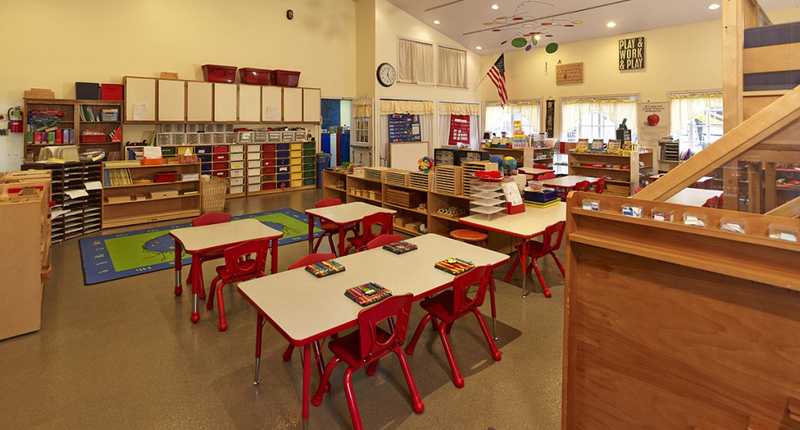 In a Montessori Kindergarten setting your child can continue to progress at his or her own pace. All children are treated with a deep respect as a unique individual and concern for his or her intellectual, social and emotional development. Montessori teaches children to be kind and peaceful. Montessori is consciously designed to recognize and address different learning styles. Montessori Math is based on the European tradition of unified mathematics. Kindergarten children study cultural geography and begin to grow into global citizens. Students learn through hands-on experience, investigation and research. They become actively engaged in their studies. We challenge and set high expectations for all our students. Children develop self-discipline and an internal sense of purpose and motivation. Kindergarten teaches critical thinking, composition and research. Classmates learn to collaborate and work together in learning and on major projects. They strive for their personal best, rather than compete against one another for the highest grade. This system in which a child is constantly moving objects with his hands and actively exercising his senses, also takes into account a child’s special aptitude for mathematics. When they leave the material, the children very easily reach the point where they wish to write out the operation. They can thus carryout an abstract mental operation and acquire a kind of natural and spontaneous inclination for mental calculations. 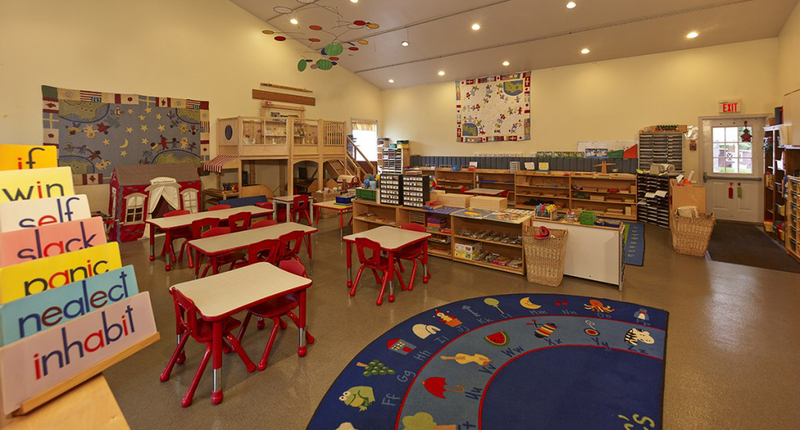 Our Montessori kindergarten classroom is a unique educational environment that is designed to encourage higher-level learning. Maria Montessori has said “The environment must be rich in motives which lend interest to activity and invite the child to conduct his own experiences.” In our classroom, this is accomplished through specially designed materials used in the areas of math, reading, practical life, sensorial and science/cultural. The materials we use in our classroom are concrete therefore; the child can take what he or she learns from their hand and transform their learning into a more abstract thought in their mind. To ensure a child’s academic achievement, and to help them perform to their fullest potential, we give individualized lessons to each child. The benefit of this method is, the child can learn at his or her own pace, and make the learning experience his or her own. We are also fortunate for and proud of the Cultural Diversity in our classroom. It reflects what is happening in our communities and around our country. We embrace this by teaching the children about the different holidays, and parents have the opportunity to come in and talk about holidays they celebrate.